This is disc 5 of the Electronic Journey box set. A decent album, better then Seven Letters From Tibet IMO. Peculiar that The Golden Horn is virtually the same as Turning Off The Wheel from Optical Race. Also, I very much doubt that Transsiberia is a film at all. The album is Volume 1 from the Russian Heart documentary series. Did any more volumes show up? I would say it's mediocre...some good sequencing and a couple of good tracks but..better than Seven Letters..na! I'm not a huge fan of TD's more ambient material but quite like both Seven Letters and Transsiberia. In my mind they sit well together. Chances are that if I listen to one then the other will on directly after it. Good mood-music but I have to be in the right mood. Always liked this one. I like the contrast between the hard sequenzers and the ambient soundscapes. And I like the concept of an album inspired by a long train ride through the Russian continent. "Transsiberia" is one of my favourite albums from the late 90s era. I like the rythmic tracks as well as the romantic tracks. But my favourite track is "Smoky Karlow". Since I heard this album the first time back in 1998 I try to get any information about the film, but found nothing. Has anybody seen the film or any information about it? I contacted a company called Magic Lantern Production in UK, but they told me that they have nothing to do with this film. As Jon points out in the original post, there is probably no film made. So it seems it is a "soundtrack" missing a film. I have wondered about a peculiar thing regarding Transsiberia. I have always been fascinated by this album, and I hope to one day travel the Trans-Siberian Railway. Most of the titles on the album is self explanatory, but the last track is called The Golden Horn, and I have several times searched for info on what this has to do with the Trans-Siberian Railway, Russia or Siberia. I know that the track is originally composed for Optical Race under a different name. And I thought that EF must have changed the title to fit the theme of this album. The otherwise informative Voices in the Net website could not help me in this matter, but recently I had an a-ha moment when I discovered that in Vladivostok (the Trans-Siberian end terminus) there is a huge, spectacular bridge called Zolotoy Rog (The Golden Horn). And all this makes perfect sense. The "problem" is that The Golden Horn bridge (quote Wikipedia): "was commissioned by the city of Vladivostok in 2006, Construction of the bridge began on July 25th, 2008, and the bridge was officially opened on August 11th, 2012". The Transsiberia album was released 10 years prior to the building of the bridge. Can anyone shed some light on this? We all know that Edgar could look into the future. Proof , if indeed any is necessary, that Edgar was a visionary of gargantuan proportions. It’s actually the name of the bay the city of Vladivostok is situated on. Need to listen to this album again, I know I like it, been a while though. Thanks for comments. Yes, I actually found out too. The mystery is solved. 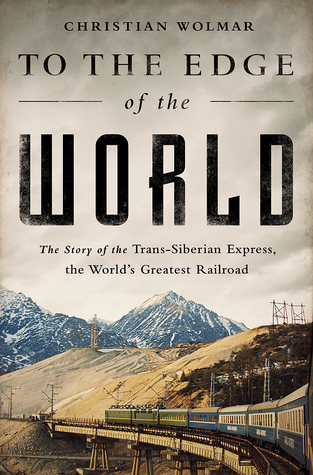 I am reading a very interesting book on the Trans Siberian railway where I learned that the waters outside Vladivostok is called The Golden Horn. Transsiberia is a great Album! I think to me the best period of TD's music is between 1986 ( Underwater Sunlight ) untill somewhere end of the 90ties. Of course the older and the later works are just fine to. But I must admitt that the period I just named, stays my favourite ..